Futuremark has today released a second trailer for its upcoming benchmarking suite. 3DMark 11 will make use of everything that DirectX 11-capable hardware has to offer and give gamers a glimpse into the sorts of visuals that games will be able to produce in the coming years. 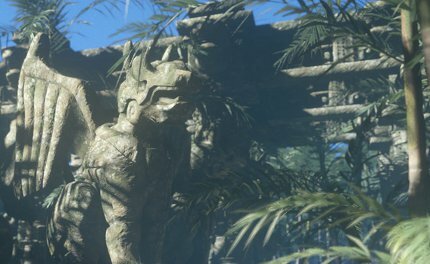 The new 'High Temple' trailer joins the 'Deep Sea' video that was shown off earlier this year. 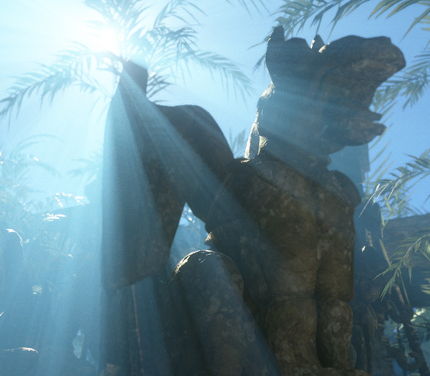 Based on the same engine, it focuses on volumetric lighting, tessellation and DirectCompute post-processing effects such as depth of field and lens flare to produce an impressive jungle scene. The foliage is undoubtedly the star of the show, with sunlight glowing through palm fronds and hundereds of individual leaves gently swaying in the breeze. The demo was apparently captured on currently available hardware running at a 1,920x1,080px resolution. 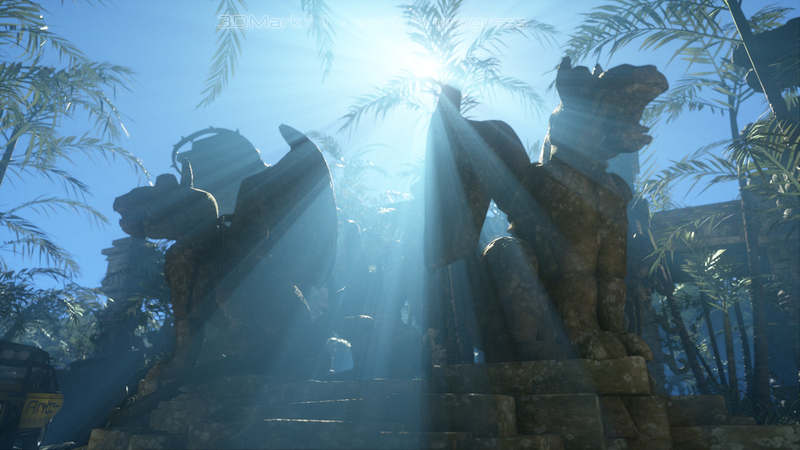 There's currently no indication as to whether or not this scene will make it into the final version of 3DMark 11 when it's released later this year. However, it offers an interesting look into the sorts of effects that are possible on DirectX 11 hardware when developers try to push the limits of the technology. The full trailer has been posted to YouTube and is embedded below, but we obviously recommend that you click through and watch it in full-screen 1080p if you can. I agree, when developers actually try to use the current generation of gpus it really does show…. unfortunately with consoles being so popular and using very old technology it means that PC gamers lose out. Only big companies generally try to riskier tactics now and thats kinda left it with crytec and EA, but i somehow doubt their next crysis game wont be as good as they have now ported it to the consoles so a significant portion of their development time has gone to that instead of optimizing the PC version and improving graphics etc etc :P.
I hope all the consoles burn and stuff so that we get an influx of studios really trying to use dx-11 and making epic games that look great and have awesome gameplay… normally they only get one right!. Haha, thats what i kept thinking to myself but now ive got a gtx 460 and cash set back to get a second one but for some reason none of the games give me lag so no need :(. Always wanted to try SLI /crossfire aswell lol. 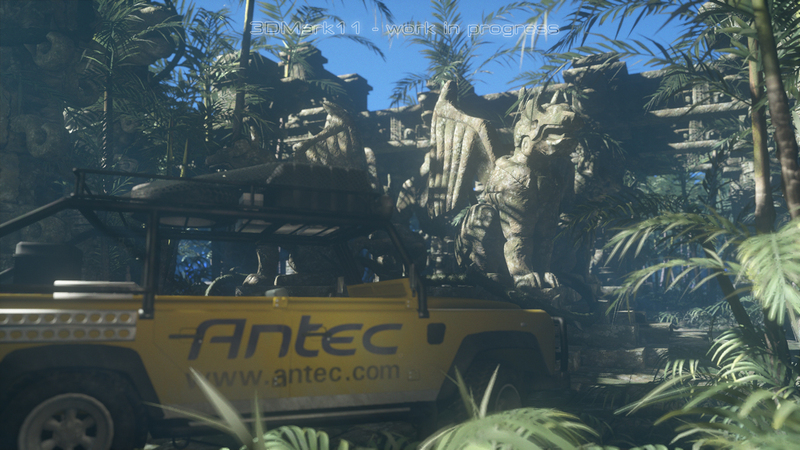 I wonder how much antec paid for some advertising :D.
Yeah graphics seem to have plateaued recently, probably because of console ports and current gen consoles starting to show their age, maybe it's just getting to the point of diminishing returns but, nothing really challenges my 9800GT yet tbh. I have to keep the AA down on the very latest stuff, but that's about it. That looks gorgeous, really impressive how far its all come! I remember be amazed by the old goblins jumping off the ledge or star wars-esk shoot out in 3dmark 05..06?